Hyperthermia is caused by the body's inability to regulate core body temperature. As a result, core body temperature begins to rise significantly. 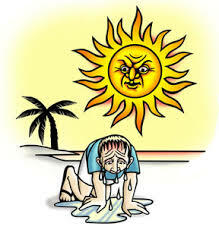 On hot summer days, it is easy for heat exhaustion and hyperthermia to creep up on a sailor who has spent long hours at the helm. Left unattended, it can result in death. Hyperthermia is progressive. Heat cramps are the mildest form. This can progress to heat exhaustion which is a less serious form of hyperthermia. Heat stroke is the most serious form. 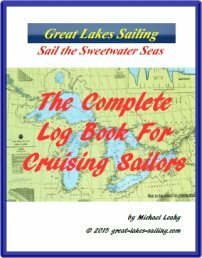 a practical, easy-to-use yet thorough format to record all of the necessary information about your boat and any cruises you take – whether exploring home waters or voyaging to distant ports across the Great Lakes. Copyright and TM 2011 - 2016 Great-Lakes-Sailing.com.